Here we share the CNA Salary in South Carolina for a variety of medical institutions, including self employed, agency, home care, clinics, nursing home’s and hospital work. Nursing assistant are an often overlooked but vital health care job that works under the direction of registered nurses. A CNA is employed in a variety of medical facilities to take care of the patient’s daily healthcare needs. A CNA is often the only member of a health care team who has daily contact with the patients. Because of this, they are the ones who can best monitor and observe any changes to the patient’s conditions. Nurses and doctors take CNAs observations into consideration when developing a patient’s health care plan. As a CNA you will take home a good salary and have the satisfaction of helping people in need. In the United States, an average salary for a CNA is $12.02 an hour or $23,726 a year. According to Indeed.com, a CNA in South Carolina earns an average of $9.69 an hour or $20,199 annually. The major factors that will affect the salary of a CNA in South Carolina are the location of their work, the amount of work experience they have, and the companies which hire them. To get a better idea of your potential earnings as a certified nursing assistant in South Carolina according to location, check out the following list from Salary.com. It shows the average annual salary of CNAs in fourteen cities in South Carolina. South Carolina’s cities generally provide higher pay rates and have more job opportunities for CNAs then in the rural areas. The number of years of work experience that a CNA has is also a major factor that determines the amount of pay an employer is willing to offer. Most health care sector employers in South Carolina provide higher pay packets and better benefits to experienced CNAs. 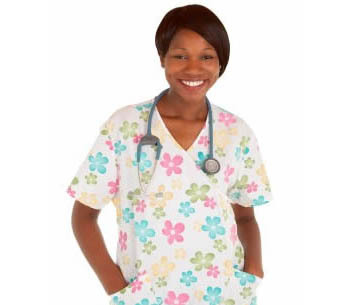 CNA experience gained through training is not usually considered by employers. To be considered experienced, you need have had at least one year actual work experience with a credible health organization. Most CNA jobs in South Carolina are found with hospitals, acute care centers, home health agencies, senior living homes, long term care sections, rehabilitation facilities, nursing homes and hospices. These employers generally provide dental and medical insurance, paid leaves and a 401 (k) retirement plans. Some employers will also provide employee support programs and will reimburse you if you want to take additional training as long as you agree to continue to work for them for a certain period of time. Visit this page to learn more about receiving a CNA certification in South Carolina. You can also find a directory list of available CNA classes in South Carolina here.